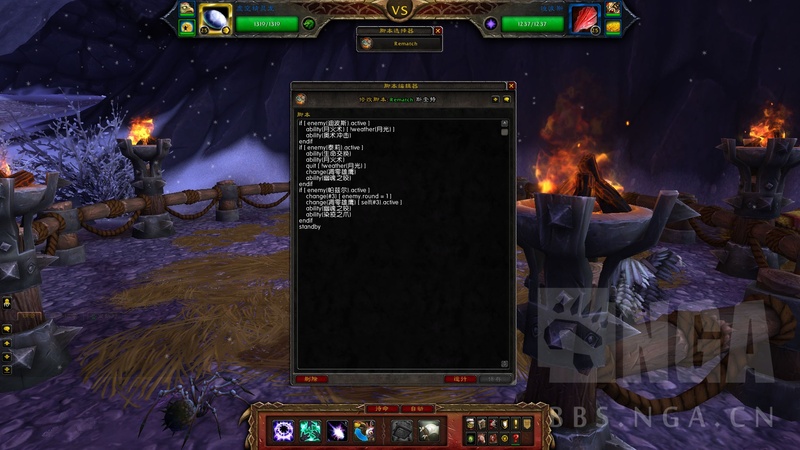 This addon makes battle pet combat support scripting. 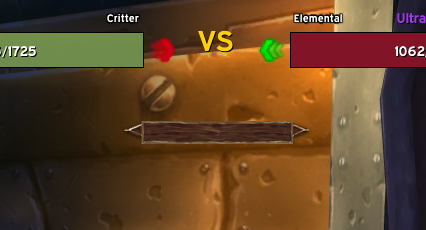 This script selector bind the script to both teams of the current pet battle. 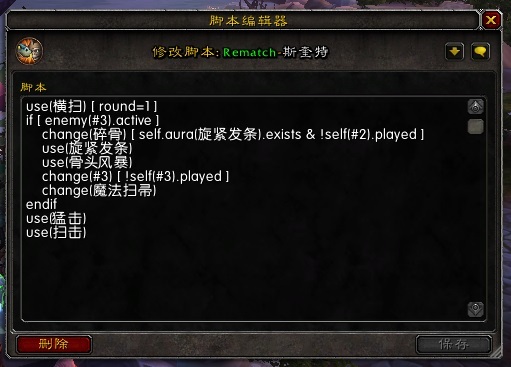 This script selector bind the script to the Rematch team, please download tdBattlePetScript Rematch. Weather effect Lightning Storm:203 is missing in the weather drop down menu. What do you think about a more flexible version of hp.can_explode? Maybe something people can use for all sort of explosion style pet abilities based on HP%? Even for things that are added/changed in the future? The script editor is very nice at handling syntax errors, but this got through. This addon has been amazing. As of today, however, it will no longer work for me. I was adding scripts this morning, but this afternoon when I select "Write Script" nothing happens. The box doesn't even appear. I tried on teams that already had scripts, as well, and they also do not appear. I do have friends who say theirs is still working fine. So my question is: what could I have inadvertently done too cause this? So this just resolved itself. I made no changes. It's now working fine. Thank you for this fantastic addon. I have a feature request if possible: an optional sound effect to be played when the the next player action is available (i.e., when the Auto key lights up.) I'd like to be able to focus my visual attention elsewhere and having the audio cue would let me hit the Auto key at the earliest opportunity without spamming it constantly. ...to the conditions.lua I think it would be nice if you add that (correctly, I don't know if I did it right, but it seems to work) to future updates for abilities like Comeback. Thanks for your work! I like the option to auto level new (rare) pets. Good job. Spot on. They already have the feature, but it's under the trainer instead of the pet. Good job guys. You made it possible to level almost 300 pets (2 accounts) during the pet bonus week. Thank you again. What is the functionality of 'is' and 'exists' ? Since the update, the minimap button keeps popping up on all characters no matter how many times you hide it under the options feature. It is quite frustrating. Same. I cannot get rid of it even when the setting is checked.